We are a Year 5/6 class with Mr Murphy as our teacher. 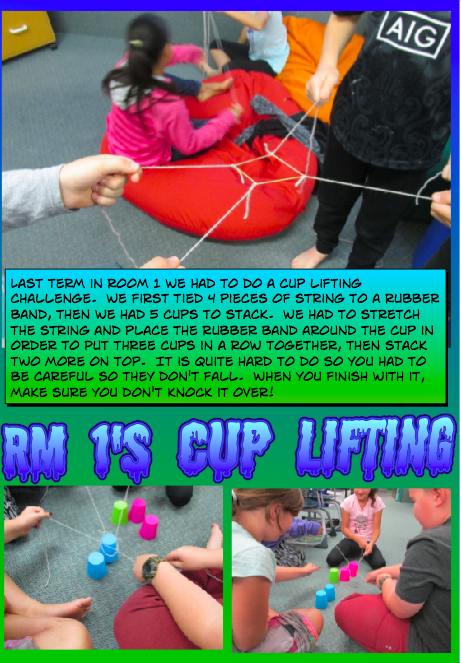 We have been learning about the Habit of the Mind which is to do with team work and working and communicating as part of a group. Our challenge was to stack cups using a rubber band and 5 pieces of string. We realised that only through good team work would we gain success.